It’s that time of year again! Time to showcase the best book cover designs of the year. 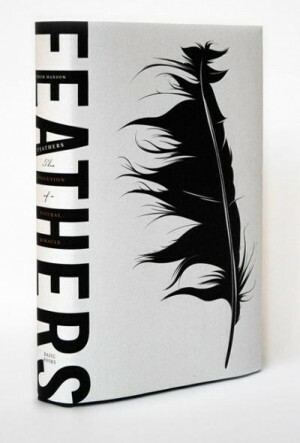 If you missed last year’s list, check it out here: The Best Book Cover Designs of 2010. Once again, I’ve sorted through thousands of new books to find the gems for you. 2011 has turned out to be a pretty darn good year for book design. The themes of the year seem to be great art, understated typography, the return of white space, and unique materials/binding/packaging. At the request of my readers, I’ve tried to include the designer credits where possible. If you know who designed any of the unknowns, please drop me a line with the info. So there you have it. 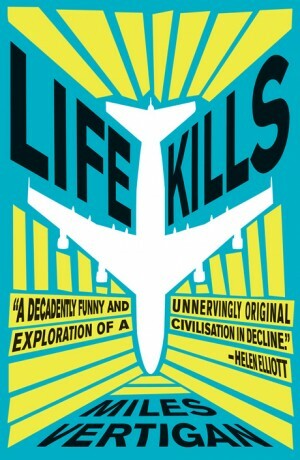 All the best of book cover design 2011 has to offer. So what are your thoughts? Do you have a favorite? Are there any that aren’t on this list that you think should be? Sound off in the comments. Could you tell me where these covers are chosen from and who chooses them please? This list is compiled solely by myself, from a number of different sources, including Amazon, visits to my local bookstore, recommendations from others, and various book-related sites and blogs. Nice book cover designs some of the designs are awesome like 5th one in the list designed by Catherine Casalino. Its really simple and attractive. I am beginner in designing this post of yours give me some cool ideas. Amar Thakur recently posted..WP Pagination Tutorial – How to Add Page Navigation in WordPress? I had not seen the cover for “Perfect” before. It is wonderful. Do you have design credits for these covers? No, unfortunately, I don’t. It would be far too time consuming to track them all down. Thanks for bringing all of these together, some really great stuff. Even if they stop printing books they will still need designers for the cover of the PDF! Very interesting. Thank you so much for doing this, Shaun. Your choices are spot on. As a book designer I can tell that some were probably technically difficult, and some were simple to execute, but all of them exhibit a creative burst of excellence in design! Thanks for putting it together for the rest of us to enjoy. Nice posting. I’ve done CD jackets but we recently had a bash at designing a book cover, needs a completely different mindset. Thanks for posting these covers. Fantastic list, amazing covers (and picks! ), but isn’t the August book upside down? Yes and no. It’s designed to sit on the shelf that way. Pretty smart, I think. I don’t have any background in design but I can see that you have a great collection here. My favorites are: The Innovator’s Cookbook, Oceana, The Visible Man, The Leftovers, and The Sisters Brothers. They just somehow made an impression on me. A feast for the eyes, thanks for sharing. Happy Holidays! This is an excellent list! I purchased Other Parts and When You Break A Knuckle, and I can say that these two books are absolutely awesome to read, aside from having one of the best covers out there. I’d recommend other parts to anyone who loves cooking. I never knew how much money I could save and still get good quality meat… as long as you know how to cook it! Thor recently posted..Battery trouble? Keep your vehicle starting in Colorado winter conditions with these tips. I have a copy of the book “When She Woke Up” I bought it, because I love the cover and the novel itself. You surely have a beautiful collection of book cover Shaun. Great idea for a post and good selections too. Personally I don’t like the “Perfect” cover, just found it a little hard to read. I love the artwork on display here, I know the old phrase “you should never judge a book by it’s cover” is true, but we all do. 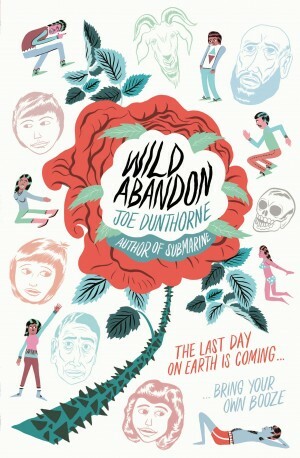 Great Book cover designs, the designs are unique. When it comes in choosing a book to read, I actually don’t particular the designs I actually more particular the titles and the interesting contents of that book. I got Murakami’s 1Q84 and was just actually just about to suggest adding it to the list when … there it was, last in your picks ;-) A flat JPG doesn’t do it justice though, one has to actually see the actual jacket in order to appreciate it’s design. Nice list I love looking at book cover and have to admit that I’m very guilty of judging books by it’s cover as most of my books are bought that way. I agree completely. The materials are half of what makes this a great jacket. The same is true of a few others as well. That’s why the physical book is here to stay. Pixels sometimes just don’t cut it. Nice book covers but which one is the best read?? Funny, my wife has a copy of ‘Odd Bits’, I think it definitely deserves to be on your list. Thanks for sharing. I like the innovator’s cookbook design. The image tricks your eyes that you are a looking at a three dimensional image and tells many of the things you can expect inside. I also like the compass image. It’s like the first one i mentioned. Other Parts is one of the best books published after 2010. I never knew how much money I could save when you use parts of the animal that are normally seen as “bad”. However, the proof is in the book, if you know how to cook it, there is no problem! That crinkled paper effect on Quitter is a huge conversation starter in my house. The book sits on my coffee table, where we do a lot of informal meetings with my clients. The idea of a lawyer having a book called quitter is a fun thing to explain. Superb list! “Perfect” would have to be one of my favorites from your list. I had not seen your 2010 list either. That’s quite a good list as well. Wow its Really amazing collection. Superb list. Odd bits is little bit odd ;). Thanks for sharing this. one word to say: perfect! these book covers only may consider masterpieces! You’ve picked some really interesting choices. I like them. I know I shouldn’t but I often judge a book by its cover when selecting one to read. Titles are the ones who pull the reader into the book and covers are just ornaments. But yes, they are some great cover in the list well to comment it. “I like the last on left” simple. I disagree. Book covers are a great deal more than ornaments. 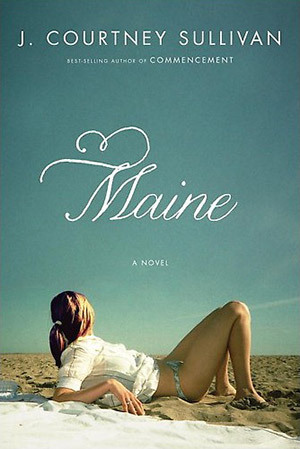 The cover sets the mood for the book and creates an emotional expectation in the viewer. A good book cover contains meaningful symbolism and can give the viewer an immediate sense of what it will be like to read the book. No. How many times I saw book covers where nothing and I mean nothing associate with content of the book. Sorry, to many times. So just another good design. And it should be and I love it. designers not credited makes this an incomplete post but, several of the selections are nice. You’re absolutely right. I wanted to have design credits, but I just didn’t have the time to track that information down. I have just stumbled upon this list and was thrilled to see a cover I designed for Text Publishing (A Love Letter from a Stray Moon) and also one by my colleague WH Chong (August). What a great list of the cover. Thanks for this and i like the Miriam Rosenbloom design, awesome management of text and it covers the lot of information in there. Great work. Made the comps for more than half the jackets shown. Seeing the ideas helps sell the ideas. This is a good collection of book covers. One can judge a book by its cover, and that really is true. Unfortunately I haven’t read any of these shown. I am much more interested in Self-Help kinda books. I love the tinkers. This cover is simple but the impact is great. By just looking on it you will capture the attention of your readers. Thanks for putting all together. Amazing Collection and Creativity… Book covers says a lot of words and its the best way to attract more readers..
Great post.All pics collection are so nice. thanks for sharing wonderful post. My favorites are Tinkers and Perfect. I admire simplicity. It conveys clarity and peace. The cover for books is like the dressing code for people. It communicates the content within. Thanks. Really great list you share with us.I love this list so much.thank you so much for sharing this post. I am just in the process of putting the finishing touches to an historical novel I have written. (The product of three long years!). I am on the hunt for a skilled graphic designer to do the work justice and provide a nice, eye catching cover. If you want to offer your services, or you have any leads which may help me, I would be delighted to hear from you. Hi Chris (and anyone else who might be interested). I am always available for new projects, especially book cover designs. Just send a detailed brief to [email protected] for an estimate. To see examples of my work, just click on the portfolio link. Really great collection of covers. Book covers says a lot about its content, therefore designers have to use their creativity to highlight its essence in an image. These covers are really wonderful and perfect, thanks for sharing. Great idea for a post and good selections too. Personally I really like the “Perfect” cover,Thank you for sharing. Wow really cool covers. That gives me good ideas if I ever want to write a book. No matter what they say people do judge a book by its cover so you better make it a good one. I really just love the cover of books. I like how they look smell and all that. I know with new digital books it is supposed to be the same but there is something about a good book. This is making me want to read. Awesome list of the covers. Thanks for this and i like the Miriam Rosenbloom design, awesome management of font and it covers the lot of information in there..! These are really a very nice collection of cover with innovative ideas and attractive designs as well. i am really impressed with it. Thanks Daniel. I’ve added that information. These are very attractive book cover designing. Thanks for sharing different book cover designs and posters. Great book cover collection. As for me, sometimes book covers are big contributors to make a book sell, not unless if the author is overly famous of course. Hi Really Its amazing book cover collection. As a book designer I can tell that some were probably technically difficult, and some were simple to execute and really its mi favorite Design.Anyways thank for sharing of book cover collection. WOW! Very nice covers! I like the Quitter cover and August! These are all very entertaining to look at. Thanks for posting this! I’m having a closer look after I post this comment. I find the “Disappearing Spoon” really intriguing to my ears..Looks like there’s something beneath the cover. I enjoyed to these book cover designs. I like a lot “Perfect” cover design and “The Leftovers” by Tom Perrotta. Nice collection! I visited on your blog “The Best Book Cover Designs of 2011” from google, Actually i am doing a research work on “Book Covers & Magzines Covers”, i really found your article useful for my research project. As i was looking for more related articles on your blog but couldnt find anymore of it. Hope i ll get them in few days…I will keep following your blog till then..!! I will be doing a 2012 post very soon, so please stick around for that! 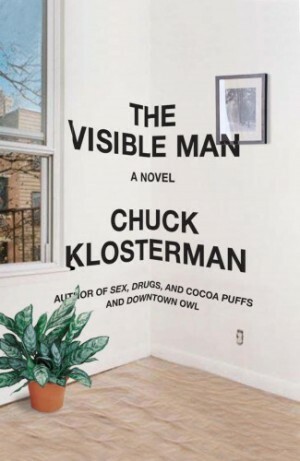 I would like to know how much you design book covers, please. I am half-sick shadows, I like it. The creativity and idea is simply amazing. Those designs are really great, nice share. ‘Thanks for bringing all of these together, some really great stuff. Even if they stop printing books they will still need designers for the cover of the PDF! choosing the right cover design for a book is a very essentiel thing.It is important to choose the right cover design.It is known that anyone wants to buy a book ,he or she will choose the one who attracts him or her.the latter besides the title of the book of course.so , the cover design and the title are very essentiel for the successful of a book. Hey, all the covers are really very nice. Some are really awesome and i have saved some of them and i will use them as wallpaper of my computer. Thanks for sharing these beautiful covers. The right Designs of any book plays a greta role in the success of any book.That’s to say , the more qualified the cover of any book , the more successful will be.I love the above covers.They are so interesting.They give the desire to read those books , especially the novel “when she woke”. I really like most of the above DESIGN covers.They are expressive and interesting.I Love them all.The appropriate design will give the book a successful selling. I like the cover of the sisters brother, thanks for sharing the awesome collection of cool Book covers Designs! wow great collection of Best Book cover. Very very nice cover it is. Thanks for sharing such nice king of post here. It’s 2013 and these designs are still some of the best i’ve seen! Super books :)I read most of them. Awesome book cover pages collection… Sure i inspired..
A good book cover makes a big difference in setting the right mood for what is inside. Great designs. But how about for 2014 and/or 2015? I love your book designs almost all. They changes my mood of reading books. This was an excellent article which helps designers to really think of what there are upto. I would love to say you have collected really the damn good looking covers. As said by great people, the very first impression is the best impression as I do believe. So choosing a great book cover motivates or gets interest for the reader to read. These are just awesome designs for cover books and I love most of them. Thanks for sharing. It’s 2011 and these designs are still some of the best I’ve seen! seen all designs, but my favorite is the ‘cook book’. The design is great, technically designed. I liked ‘the zombie autopsies’ design. Nice sharing! !